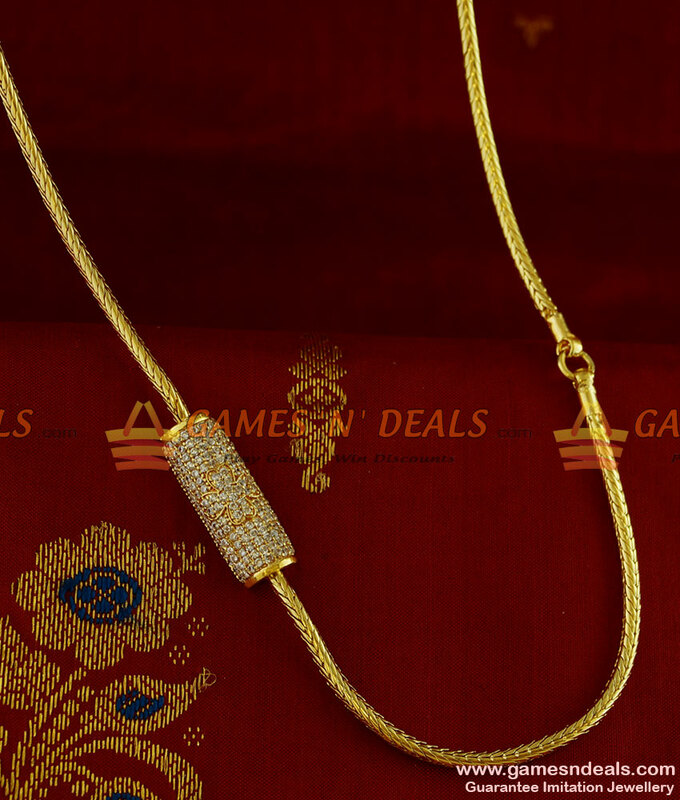 Chidambaram Gold Covering Jewellery Flower Design Zircon Stone Mogappu Chain Attractive South Indian Imitation Jewelry Daily Wear Thali Saradu knitted Chain - Party wear mogappu design. 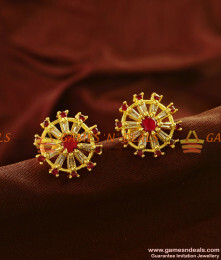 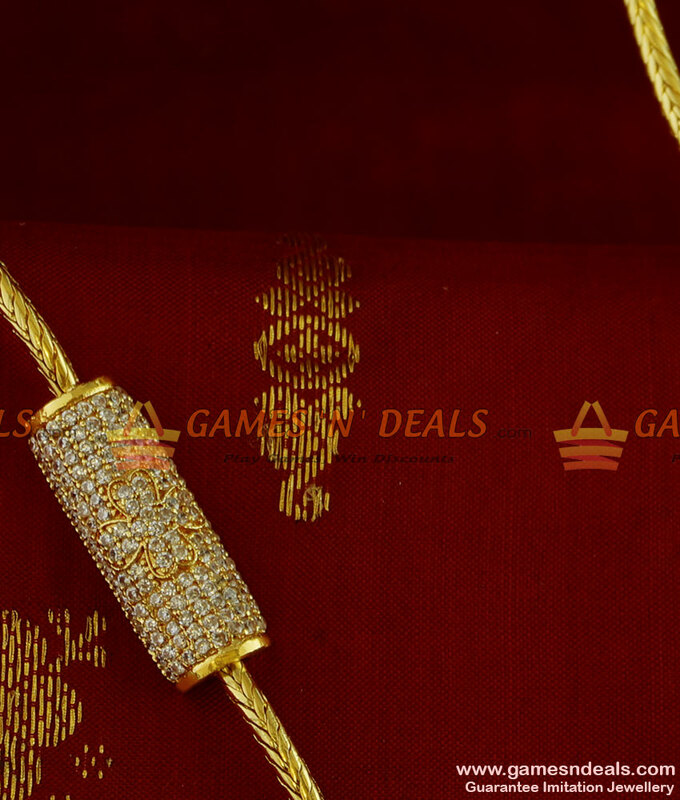 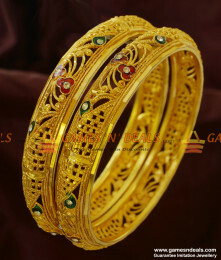 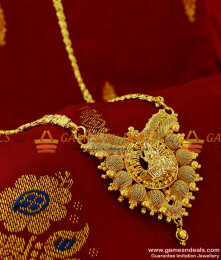 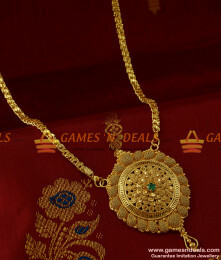 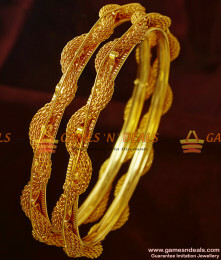 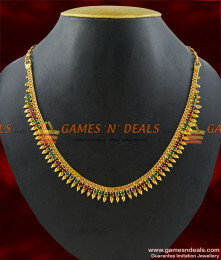 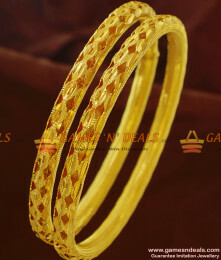 Famous among south Indian married women, this mogappu type design comes in combination with saradu chain. 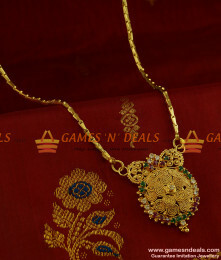 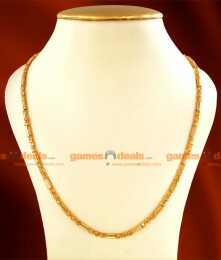 It imitates just like real gold jewelry with its white and red stones and flower design.This chain comes with 4 mm thickness and 24 inches length. 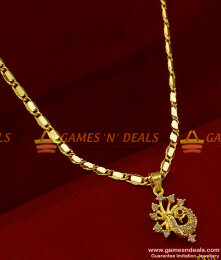 Keep it away from hot water and perfumes for longer chain life. 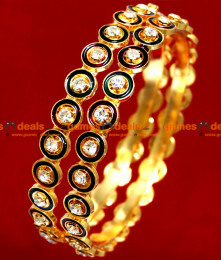 When used occasionally the chain color lasts for more then one year. 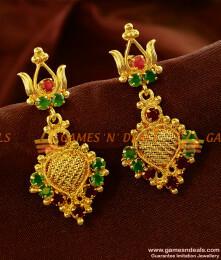 Store in dry place inside plastic cover/box when not in use.